Kids’ birthdays are a time of celebration and fond memories. Here are five tips to make your child’s special day fun, safe and affordable. A theme gives you a focus point for everything else: the invitations, decorations, types of food, crafts and games and party favors. Encourage your child to be involved in the decision-making; it will give your birthday boy or girl a feeling of control while managing his or her expectations. If your child is overwhelmed with choices, try exploring ideas based on his or her interests, favorite book or TV show, or most admired superhero. 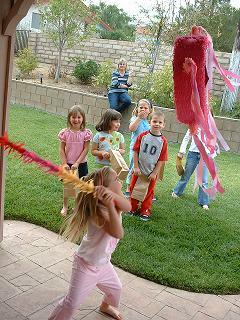 Many websites, such as www.birthdaypartyideas.com, list hundreds of popular themes for kids’ birthday parties. Never underestimate the tried and the true: some of my best birthday party ideas were borrowed from other moms! In our family, we start talking about birthday party themes and dates about four to six weeks ahead of time. That gives everyone a chance to think of creative ideas, choose a date and craft the guest list. Planning early can also avoid disappointment. Some popular party venues and children’s entertainers book up months in advance, especially for weekend parties. Once you have a date in mind, some other factors you might consider are: will your party be held indoors or outdoors; does the date conflict with the availability of your children’s friends or family members; and will you be inviting parents and siblings to the party? If so, work out a time of day for the party around travel times, naps and bedtimes, and mealtimes. One website—www.coolest-kid-birthday-parties.com—posts blogs from parents who share ideas from their own successful events. These days, many kids have severe, life-threatening allergies. Others must avoid dairy or gluten for health reasons. Be sure to ask parents of your young guests about any food sensitivities well in advance of the event to avoid surprises. Some children may bring their own “safe” food to parties. When this happens, be open with all the children about the reason. It will help make everyone feel included and welcome at the table. Some kids might even feel proud to show their Medic Alert bracelet or Epipen. Ensuring a safe play environment for your party is also important. When booking an outside facility for your child’s party, don’t be shy about asking about safety procedures. If the party involves water, or is near a water source, ensure there are enough adults to watch all of the children at all times. Visit http://www.suite101.com/content/kids-birthday-party-safety-checklist-a123316 for a useful party safety checklist. There’s no doubt about it—birthday parties can be expensive. The good news is that there are lots of free resources and low-cost solutions to, well, have your cake and eat it too, without letting the costs of your child’s special day snowball out of control. The Internet is a great resource for free party planning tools. Some of my favorite websites for inexpensive birthday party ideas are www.amazingmoms.com; www.savvymom.ca; and www.todaysparent.com. These sites have links to printable theme-based invitations and activity pages and suggestions for both traditional and theme-based party games. Dollar stores are excellent places to find treasures for loot bags. Or scour coupon sites offering a discount on purchase or 2-for-1 activities. Keep in mind that most children are fairly easy to please. To borrow the motto of the Boy Scouts, be prepared. Last minute cancellations or unexpected guests, accidents and sudden illness can occur. Whether rain forces your pool party to the basement for an impromptu board game tournament or you’ve gone through your repertoire of party games in half the time you planned for, or no one will eat the Dirt Cake with gummy worms that you got up at 5 a.m. to prepare, be flexible and don’t stress about it! We celebrate our kids’ birthdays to create lasting memories with special friends and family…oh, and to eat cake too! Randi Saunders Morry is a freelance writer and mother of three children. She has survived more than 30 cumulative birthday parties and expects that she’s not quite finished yet. How To Ensure Your Child’s Birthday Party Is a Day To Remember!